Steel, KT Boards, ABS、PC、PE、PP、PU, and other organic objects, ect. ⑤ All steel industrial level and well withstanding Abrasion, Over 10 years super long using life. ⑥ High precision printing bed. ⑦ High Precision Industrial DELTA servo motors. ★ Individualized Printing: Such as U dishes, Birthday Cards, Hard Disks, Mobile Phone Shell, Laptop/Ipad Shell, Computer Disk, Handicrafts, Toys, Stationery, Furniture, Porcelain And other industries, Like: Signs&Advertisement, Decoration, Clothing, Leather, Gifts, Packing, Glass, Stone, Steel, KT Boards, ABS、PC、PE、PP、PU, and other organic objects, ect. 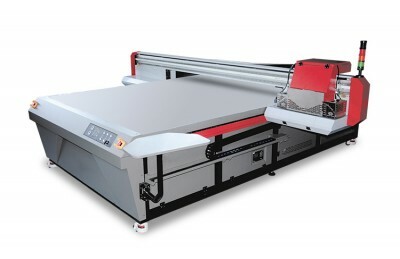 Except for the size and model, we have 1.3*1.3 / 3.0*2.0 size flatbed and 3.2m R2R with Ricoh Gen4 or Gen5 printheads printers.